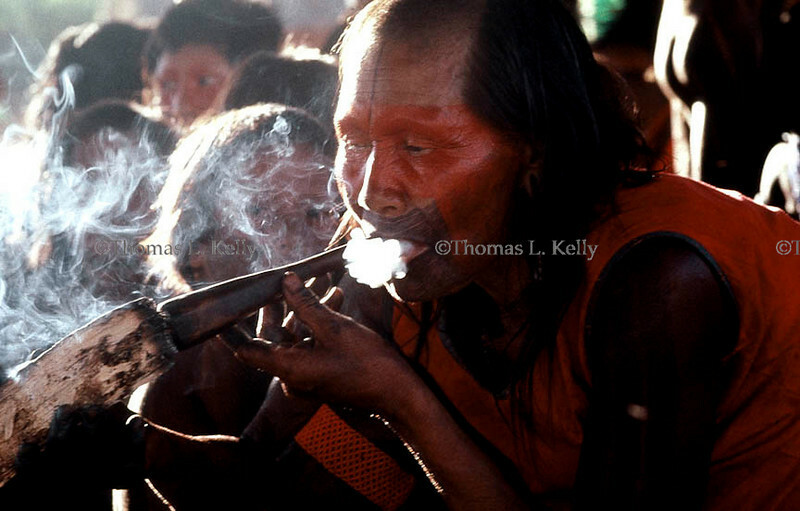 (NaturalNews) Before the American Indian culture was shattered, the Indians used an unprocessed tobacco in pipes ceremoniously and for healing. Yes, healing lung disorders. Indian tobacco is known as Lobelia inflate or lobelia, which some herbalists, unafraid of being politically incorrect for using an herb once banned by the FDA, use medicinally today. Not necessarily to smoke, but dispensed as tinctures or tablets. Lobelia for asthma and other lung/bronchia disorders was a topic of another article from this author. This article will focus on lobelia as the most effective smoking cessation agent without side effects today. A recent pharmaceutical smoking cessation product on the market drove many mad enough to commit suicide, murder or both. Few knew the severity of this smoking cessation drug's side effects until an independent found a major flaw with the company's adverse report papers. The Institute for Safe Medication Practices, an independent watchdog group, analyzed the major adverse data that both the drug company and the FDA were allowing to get mixed in with minor adverse events (http://www.naturalnews.com/032849_quit_smoking_drugs.html). After that discovery, the drug company became open to lawsuits that could prove they continued to market their smoking cessation drugs even as several went violently nuts from it. Since many started realizing side effects early and quit the drug, few, if any, received the claimed benefits. Medical Herbalist and Naturopath, Dr. Richard Schulze, has used lobelia on many of his patients who were desperate to quit smoking cigarettes and/or heal their lungs. He also described how the FDA ban had stigmatized lobelia's use. Now it's legal, and some practitioners are returning to prescribing it, but many are still afraid of using it for fear of medical groups hassling them if a patient has a reaction. Lobelia is considered one of the strongest herbs in the world. It contains 14 alkaloids, one of which is lobeline, which is similar to the nicotine found in common tobacco. Schulze advocates the gradual approach of smoking one less cigarette each day and taking lobelia when the urge to smoke becomes impossible to resist. Dr. Schulze has had many kick the nicotine habit, and he has helped patients get over serious lung problems with lobelia. 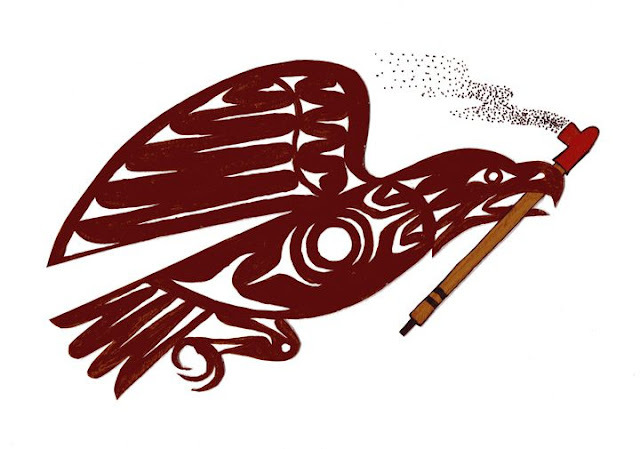 So how did early American Indians manage to smoke? One thing is for sure, they didn't have 600 chemical additives added to create a virtual freebasing of nicotine, ensuring they would be addicted forever to chain smoking. They did manage to appreciate lobelia's healing qualities. Even today, herbal advocate David Wolfe has noticed indigenous tribal members in the Amazon and New Guinea smoking pure tobacco in their 80s while enjoying good health. The Department of Health and Human Services approved 599 chemical additives to cigarettes in 1994. Among them are ammonia compounds to create a nicotine freebase effect. Then there are the additives to the paper to make it burn evenly. In 2010, legislation was passed in 49 states to start putting fire safe cigarettes (FSC) on the market as all the current ones are sold. The FSCs papers contain a toxic chemical used for rug glue to ensure that cigarettes go out when not being puffed. Even before all this chemical craziness, tobacco itself has been grown commercially with phosphate fertilizers, causing tobacco plants to accrue radioactive isotopes of polonium 210. Puff by puff, those isotopes accumulate in smokers' lungs. The slang term "cancer sticks" for cigarettes is truly appropriate. To get off the smoking habit and/or repair lung damage, start your search from here (https://www.herbdoc.com/).